Earn 227 loyalty points when you order this item. 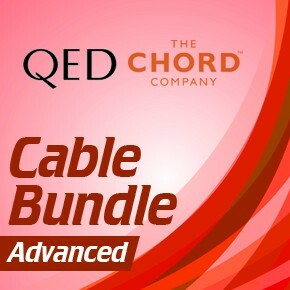 This advanced AV cable bundle contains 2 x Chord Advance 0.75m HDMI cables, 10m Chord Classic speaker cable (for the centre and front speakers), 30m Campana speaker cable (for the rear speakers), a 3m QED Profile subwoofer cable and 1m QED Profile optical cable. Everything you need to connect your AV receiver and 5.1 speaker system.